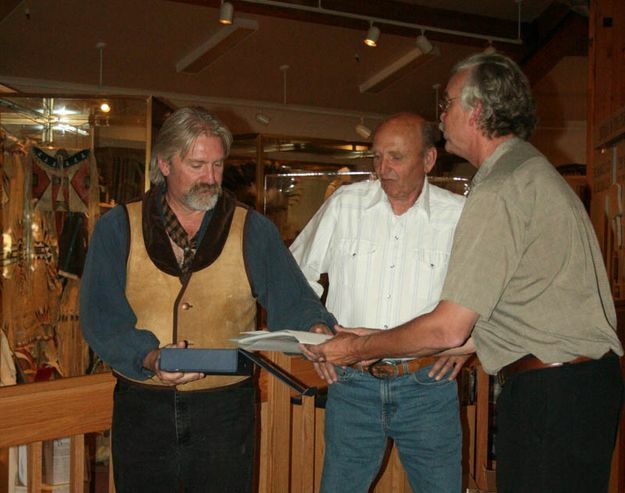 Author Doyle Reid (left) receives his award for his article, "Formidable Men and Heroes:" the Forgotten Delaware Mountaineers, which was selected for publication in the 2009 edition of the Museum's Rocky Mountain Fur Trade Journal. Jim Hardee, right, is the Editor of the Journal. Dr. Fred Gowans (center) is Editor Emeritus.